These interpretations can be combined. So the complete Arrow–Debreu model can be said to apply when goods are identified by when they are to be delivered, where they are to be delivered and under what circumstances they are to be delivered, as well as their intrinsic nature. So there would be a complete set of prices for contracts such as "1 ton of Winter red wheat, delivered on 3rd of January in Minneapolis, if there is a hurricane in Florida during December". A general equilibrium model with complete markets of this sort seems to be a long way from describing the workings of real economies, however its proponents argue that it is still useful as a simplified guide as to how a real economies function. Some critics of general equilibrium modeling contend that much research in these models constitutes exercises in pure mathematics with no connection to actual economies. "There are endeavors that now pass for the most desirable kind of economic contributions although they are just plain mathematical exercises, not only without any economic substance but also without any mathematical value." Georgescu-Roegen cites as an example a paper that assumes more traders in existence than there are points in the set of real numbers. Applied general equilibrium (AGE) models were pioneered by Herbert Scarf in 1967, and offered a method for solving the Arrow–Debreu General Equilibrium system in a numerical fashion. This was first implemented by John Shoven and John Whalley (students of Scarf at Yale) in 1972 and 1973, and were a popular method up through the 1970s. In the 1980s however, AGE models faded from popularity due to their inability to provide a precise solution and its high cost of computation. Also, Scarf's method was proven non-computable to a precise solution by Velupillai (2006). — Simonde de Sismondi, New Principles of Political Economy, vol. 1, 1819, pp. 20-21. Within socialist economics, a sustained critique of general equilibrium theory (and neoclassical economics generally) is given in Anti-Equilibrium, based on the experiences of János Kornai with the failures of Communist central planning. ↑ Walras, Léon (1954) . Elements of Pure Economics. Irwin. ISBN 0-678-06028-2. Scroll to chapter-preview links. ↑ Eatwell, John (1987). "Walras's Theory of Capital". In Eatwell, J.; Milgate, M.; Newman, P. The New Palgrave: A Dictionary of Economics. London: Macmillan. ↑ Jaffe, William (1953). "Walras's Theory of Capital Formation in the Framework of his Theory of General Equilibrium". Economie Appliquée. 6: 289–317. ↑ Arrow, K. J.; Debreu, G. (1954). "The Existence of an Equilibrium for a Competitive Economy". Econometrica. 22 (3): 265–290. doi:10.2307/1907353. JSTOR 1907353. ↑ McKenzie, Lionel W. (1959). "On the Existence of General Equilibrium for a Competitive Economy". Econometrica. 27 (1): 54–71. doi:10.2307/1907777. JSTOR 1907777. ↑ Debreu, G. (1959). Theory of Value. New York: Wiley. p. 98. ↑ Starr, Ross M. (1969). "Quasi-equilibria in markets with non-convex preferences". Econometrica. 37 (1): 25–38. doi:10.2307/1909201. JSTOR 1909201. 1 2 3 Guesnerie, Roger (1989). "First-best allocation of resources with nonconvexities in production". In Bernard Cornet and Henry Tulkens. Contributions to Operations Research and Economics: The twentieth anniversary of CORE (Papers from the symposium held in Louvain-la-Neuve, January 1987). Cambridge, MA: MIT Press. pp. 99–143. ISBN 0-262-03149-3. MR 1104662. ↑ See pages 392–399 for the Shapley-Folkman-Starr results and see page 188 for applications in Arrow & Hahn: Arrow, Kenneth J.; Hahn, Frank H. (1971). "Appendix B: Convex and related sets". General Competitive Analysis. Mathematical economics texts [Advanced textbooks in economics]. San Francisco, CA: Holden-Day, Inc. [North-Holland]. pp. 375–401. ISBN 0-444-85497-5. MR 439057. ↑ Pages 52–55 with applications on pages 145–146, 152–153, and 274–275 in Mas-Colell, Andreu (1985). "1.L Averages of sets". The Theory of General Economic Equilibrium: A Differentiable Approach. Econometric Society Monographs. Cambridge UP. ISBN 0-521-26514-2. MR 1113262. ↑ Hildenbrand, Werner (1974). 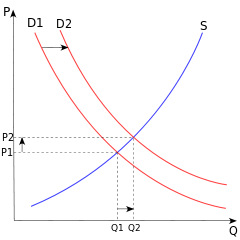 Core and Equilibria of a Large Economy. Princeton Studies in Mathematical Economics. Princeton, N.J.: Princeton University Press. pp. viii+251. ISBN 978-0-691-04189-6. MR 389160. ↑ See section 7.2 Convexification by numbers in Salanié: Salanié, Bernard (2000). "7 Nonconvexities". Microeconomics of market failures (English translation of the (1998) French Microéconomie: Les défaillances du marché (Economica, Paris) ed.). Cambridge, MA: MIT Press. pp. 107–125. ISBN 0-262-19443-0. ↑ An "informal" presentation appears in pages 63–65 of Laffont: Laffont, Jean-Jacques (1988). "3 Nonconvexities". Fundamentals of Public Economics. MIT. ISBN 0-585-13445-6. 1 2 3 Mandler, Michael (1999). Dilemmas in Economic Theory: Persisting Foundational Problems of Microeconomics. Oxford: Oxford University Press. ISBN 0-19-510087-5. ↑ Turab Rizvi, S. Abu (2006). "The Sonnenschein-Mantel-Debreu Results after Thirty Years". History of Political Economy. 38 (Suppl. 1): 228–245. ↑ As quoted by Petri, Fabio (2004). General Equilibrium, Capital, and Macroeconomics: A Key to Recent Controversies in Equilibrium Theory. Cheltenham, UK: Edward Elgar. ISBN 1-84376-829-1. ↑ Georgescu-Roegen, Nicholas (1979). "Methods in Economic Science". Journal of Economic Issues. 13 (2): 317–328. JSTOR 4224809. ↑ Shoven, J. B.; Whalley, J. (1972). "A General Equilibrium Calculation of the Effects of Differential Taxation of Income from Capital in the U.S.". Journal of Public Economics. 1 (3–4): 281–321. doi:10.1016/0047-2727(72)90009-6. ↑ Shoven, J. B.; Whalley, J. (1973). "General Equilibrium with Taxes: A Computational Procedure and an Existence Proof". The Review of Economic Studies. 40 (4): 475–489. JSTOR 2296582. ↑ Velupillai, K. V. (2006). "Algorithmic Foundations of Computable General Equilibrium Theory". Applied Mathematics and Computation. 179 (1): 360–369. doi:10.1016/j.amc.2005.11.113. ↑ Mitra-Kahn, Benjamin H. (2008). "Debunking the Myths of Computable General Equilibrium Models" (PDF). Schwarz Center for Economic Policy Analysis Working Paper 01-2008. ↑ Keen, Steve (May 4, 2009). "Debtwatch No 34: The Confidence Trick". ↑ Keen, Steve (November 30, 2008). "DebtWatch No 29 December 2008". ↑ • Robert W. Clower (1965). "The Keynesian Counter-Revolution: A Theoretical Appraisal," in F.H. Hahn and F.P.R. Brechling, ed., The Theory of Interest Rates. Macmillan. Reprinted in Clower (1987), Money and Markets. Cambridge. Description and preview via scroll down. pp. 34-58. ↑ Kornai, János (1971). Anti-Equilibrium: On Economic Systems Theory and the Tasks of Research. Amsterdam: North-Holland. ISBN 0-7204-3055-0. Arrow, K. J.; Hahn, F. H. (1971). General Competitive Analysis. San Francisco: Holden-Day. ISBN 0-8162-0275-3. _____ (1983) . Foundations of Economic Analysis (Enlarged ed.). Harvard University Press. ISBN 0-674-31301-1.